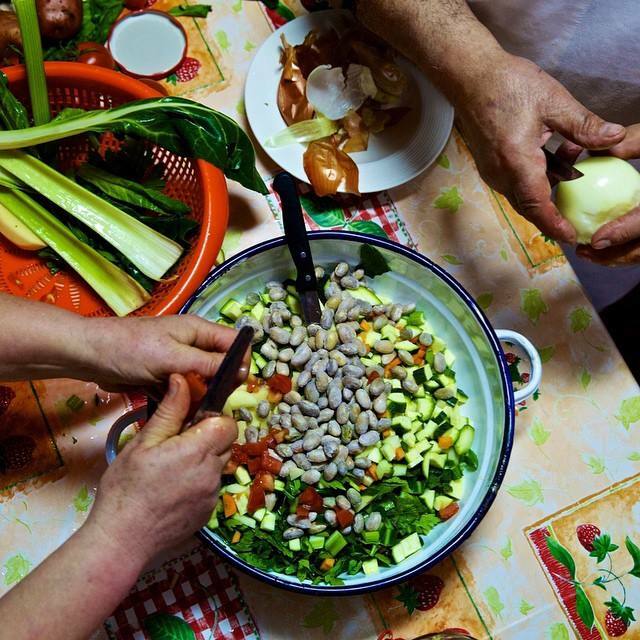 This bountiful dish is eaten for lunch every day by the world’s longest-lived family, the Melises. Traditionally, it is made with whatever is growing in the garden, but it always includes beans and fregula, a toasted pebble-size semolina pasta that is popular in Sardinia. Fregula can be purchased at Italian markets or online. 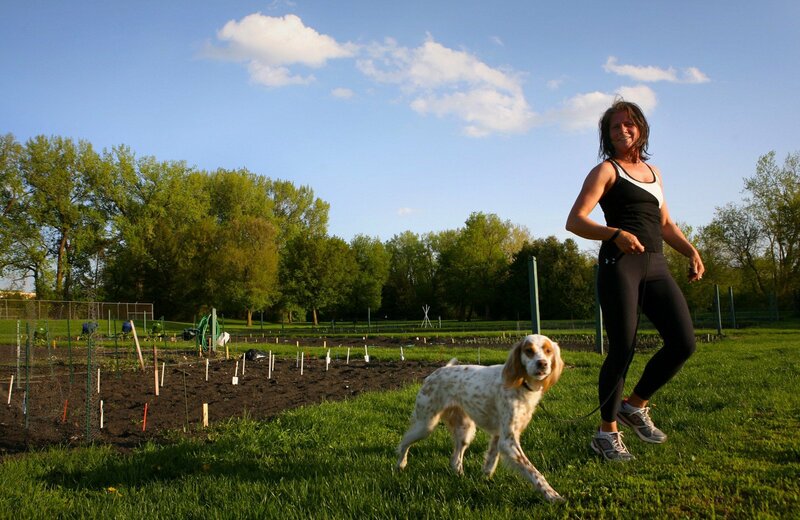 If you can’t find fregula, any tiny pasta, such as Israeli couscous or acini di pepe, will do. My version also takes a little time to cook. As Gianni Pes points out, a longer cooking time melds the flavors and enhances the bioavail­ability of more nutrients, such as the lycopene in tomatoes and carotenoids and other antioxidants. A shorter cooking time will make a tasty dish as well, but nutritionally inferior. 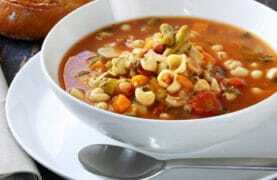 Traditionally, the minestrone is accompanied with slices of pane carasau, or Sardinian flat bread. Soak the fava beans, cranberry beans, and chickpeas in a large bowl of water for at least 8 hours or up to 16 hours (that is, overnight). Drain in a colander set in the sink. Rinse well. Warm 3 tablespoons of the olive oil in a large soup pot or Dutch oven set over medium-high heat. Add the onion, carrots, and celery; cook, stirring often, until soft but not browned, about 5 minutes. Add the garlic and cook until fragrant, about 20 seconds. Stir in the tomatoes, potatoes, fennel, parsley, and basil, as well as the drained beans and chickpeas. Add enough water (6 to 8 cups) so that everything is submerged by 1 inch. Raise the heat to high and bring to a full boil. 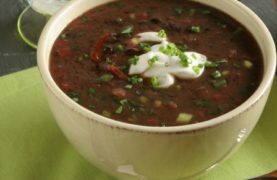 Reduce the heat to low and simmer slowly, uncovered, until the beans are tender, adding more water as necessary if the mixture gets too thick, about 1½ hours. Stir in the pasta, salt, and pepper. Add up to 2 cups water if the soup seems too dry. Continue simmering, uncovered, until the pasta is tender, about 10 minutes. Pour 1 tablespoon of olive oil into each of four serving bowls. 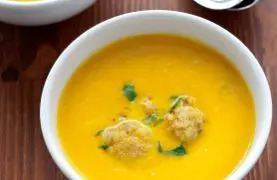 Divide the soup among them and top each with 1 tablespoon of the grated cheese, if using. 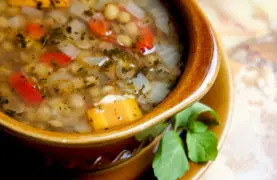 Tip: You can vary the beans in the minestrone: pinto beans make a good substitute for cranberry beans; great northern or cannellini beans, for the favas. Tip: Use the stalks and fronds that come off a fennel bulb for the most intense flavor. No feathery fronds on the bulb? Add a teaspoon of fennel seeds to the aromatic vegetables you sauté to begin the dish. Tip: Add other fresh vegetables from the garden or market, such as zucchini, cabbage, green beans, and cauliflower or broccoli florets. Tip: Want a stronger tomato taste? Stir in a tablespoon or two of tomato paste. You get the idea!